How many times have you received emails/SMS/calls to get approved loans in hours? Banks are now giving a provision to get personal loans in hours. India is a growing economy and to maintain this we need the things available easily and immediately. It should not be like to get a small amount of loan we should wait for the months for approval and transactions. But still, there is a need for easy loan approvals to fulfill the requirements. Startup culture is growing very aggressively in India compared to many other countries but still there is a lot to be done in the form of finance especially for the lending needs. I2IFunding is such a platform which helps the lenders to get the personal loans very easily. 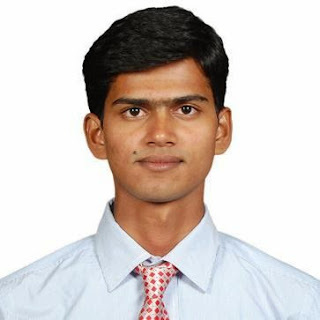 I2IFunding, founded by Vaibhav Pandey is a unique Peer to Peer Lending Platform in India helping both investors and lenders to deal smoothly. In this I2IFunding Review, I will be telling you the details of I2IFunding and will share how it works and how being an investor or lender, you can take help of the platform to fulfill your need. 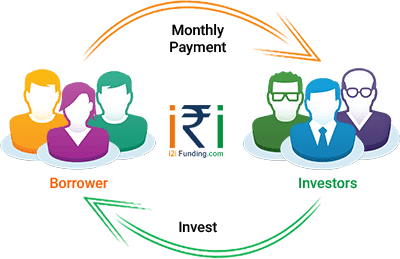 I2IFunding is an online Peer to Peer lending platform in India which enables the investor to invest and get attractive interest rates and lenders to get smooth loans quickly. It is an online platform that connects verified borrowers looking for unsecured personal loans and investors looking for alternative investment opportunities for higher returns. 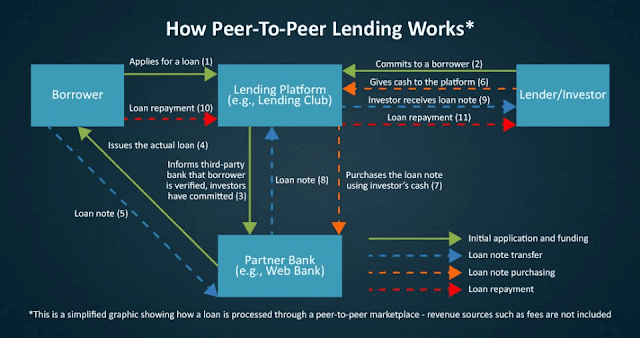 Peer-to-peer lending (P2P Lending) is a form of lending money to individuals or business through some online platform where borrowers meet directly with the investor. Since these services are completely online and need less manpower and resources and so are relatively cheaper than the bank loan and other forms of lending. This P2P Lending provides alternative investment option to Investors and affordable P2P loans to Borrowers. At I2IFunding, a borrower can get the personal loan at a starting interest rate of 12% which is way less than provided by banks and the important thing is these are unsecured loans. And Investors can expect a high return of around 30% with principal protection. Peer to Peer Lending is already a highly successful model for alternate financing across the globe. In India, P2P Lending is gaining traction at very fast pace and slowly becoming a very attractive investment option for investors. RBI is already working to regulate this sector. As explained earlier, I2IFUnding provides a P2P Lending platform to make loan processing an easier, smoother and reliable platform. Below is the simple hack as how it works. For seamless operations, entire loan funding process is digitized and is transparent, quick and easy. Registration at I2IFunding is completely free and both investor and borrower can register without any hassle. All you have to do is, fill in your personal details and create a login id. As part of registration process, your email id and mobile number will be verified. • Create Investor Account: You will have to create an investor account to start with. Fill the required details and submit the scanned copy of KYC and your income declarations. • Investor's Wallet: After creating your account successfully, your wallet will be created containing brief about your profile. • Invest in a Loan: You can invest to one borrower or multiple as per your requirements. Before making the commitment, key information of a borrower including his / her i2i report (covering detailed risk analysis) will be available. • Create a Borrower Account: If you are looking for the loan then create a borrower account. A one-time listing fee of INR 100 is levied at this stage. • Interest Rate for Borrowers: the I2IFunding team will help you to settle the minimum interest rate. Using our proprietary Credit Score Model, our team recommends an interest rate for each loan based on its credit risk. After the above steps of both borrower and investor, the loan gets funded and to mitigate the risk a loan is getting funded by multiple investors and all will get equal interest rate. The i2ifunding team will do a physical verification before issuing any loan and will ensure the legal documents and other formalities. The team also ensures that the investor is getting proper EMI. 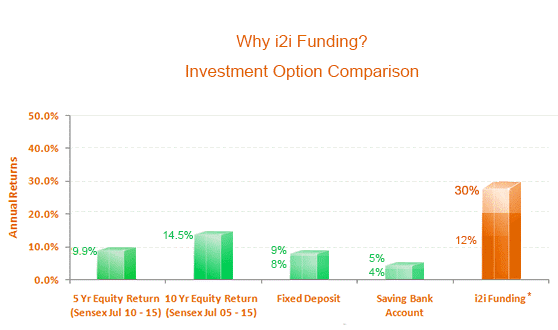 All kind of investor can start investing at I2IFunding.com platform and can earn some huge interest rate with secured initial investment amount. The investment just starts at INR 5000. They have divided the investors in a different category and based on it, investors receives the protection on the principal amount. The I2IFUnding team ensures that you are getting loans at less interest rate and with easy terms. You can also check the interest rate, EMI you will have to pay the loan at the portal. Here is a detailed comparison for investor spreading across different platform. For example, if you are investing on some other platform and investing on I2IFunding, how it will impact your revenue. You will also find the list of active borrowers and investors on the portal which will help you to know the trends in interest rates and other parameters. P2P Lending space is still a larger platform where a number of such companies would be needed to fulfill the requirement of unsecured loan. I2IFunding is expanding themselves and making it big and convenient for both the parties to make the process easier, smoother and beneficial for all.